State Rep. John Wood filed a bill Thursday that would significantly expand the group of patients eligible to use medical marijuana. The Winter Haven Republican’s bill, called the Florida Medical Marijuana Act (HB-1183), proposes to repeal and replace a 2014 law sanctioning the use of cannabis oil for a narrow category of patients, among them children with a rare form of epilepsy. Under Wood’s proposal, marijuana could be prescribed to treat a much wider list of ailments, including HIV, Lou Gehrig’s disease, Crohn’s disease and unspecified terminal illnesses. The bill would allow treatment for such symptoms as wasting syndrome and severe pain, seizures and muscle spasms. Wood’s bill was filed as a companion to a bill by Sen. Jeff Brandes, R-St. Petersburg. The two proposals differ in one major respect: While Brandes’ bill would allow the smoking of marijuana, Wood’s bill would not. Wood’s version would permit marijuana-derived oils, tinctures, creams, encapsulations and food products. United for Care, a political group largely funded by Orlando lawyer John Morgan, is trying again with a revised version of the medical marijuana constitutional amendment. The Florida Supreme Court has already approved the measure’s language, and United for Care is expected to meet the state requirement for valid signatures on petitions. If so, the proposal will appear on the ballot for the November general election. Though the 2014 law was supposed to make cannabis oil available by the beginning of last year, Floridians have yet to take advantage of it. The process of setting rules for the companies allowed to raise and distribute the product dragged out amid legal challenges. In November, the Florida Department of Health finally named five companies picked to receive licenses, but 13 unsuccessful applicants have filed challenges to the outcomes. Those challenges will be reviewed by the Florida Division of Administrative Hearings. One of the challengers is a partnership that includes GrowHealthy, a company that purchased a former mattress factory in Lake Wales as an intended marijuana production facility. GrowHealthy applied for a license in tandem with a Eustis nursery. A three-judge panel rated their application second in the Central Region, barely behind the winner, Knox Nursery in Winter Garden. The proposed legislation emerges against the backdrop of a well-organized campaign to let Florida voters decide if marijuana should become available for medical use. The proposed constitutional amendment in 2014 garnered 58 percent support but missed the 60 percent approval threshold for ballot initiatives. Ben Pollara, campaign manager for United for Care, isn’t much interested in whatever the Legislature is doing. 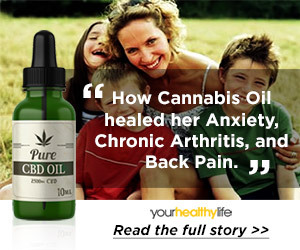 The 2014 law limited use to patients with a doctor’s recommendation and allowed only cannabis oil made from plants bred to be low in THC, the compound that produces psychological effects. The non-euphoric medicine is often called Charlotte’s Web, for a trademarked product developed in Colorado. Wood’s bill does not specify that the allowed medicines must be derived from low-THC strains of marijuana. A four-page summary of Wood’s bill includes guidelines covering requirements for prescribing doctors and patient eligibility. It also describes a regulatory framework for companies involved in cultivation, processing, retail sales and independent testing. The language says the state would regulate medical marijuana much as it does the sale of alcoholic beverages. Under the bill, the state would collect taxes on the sale of medical marijuana, and the money would be designated for medical research. The bill would give local governments the power to block retail cannabis facilities but not to prevent residents from receiving delivery of the product. State Rep. Colleen Burton, R-Lakeland, said she hadn’t read Wood’s bill but looks forward to doing so and giving it careful consideration. Next articleVermont’s governor wants to legalize marijuana. Here’s how he would do it.